The future of tyre technology is an exciting prospect for fleet management. Perhaps 20 years ago, a car alerting you of a sudden tear in the tyre wall, sounds like a deleted scene from Knight Rider. But now in 2018, the advancement in vehicles electronics have completely changed our expectation of what a car should do. Tyre pressure monitoring systems (TPMS) were made mandatory on new cars in 2014. However, tyre maintenance hasn’t developed much at all. A vehicle knows if you’re swerving out of your lane, can predict the date of an oil service years in advance, even calculate that if you don’t hit the brakes in the next 0.02 seconds, it’s going to need to stop a rear end collision. And yet to check a tyres condition, you still need to kneel down and rummage through your wallet for a 20p. Tyres are so vital to a vehicles safety; the industry has recognised changes are needed and see the potential of bringing tyres into the connected world. What Are Connected Tyres ? The industry’s vision for the near future is the connected tyre. Connected tyres look the same as standard tyres, but come with small, very light sensors that gather data. Adopting this type of tyre would enable fleet operators to continually receive data on their vehicles, wherever they are! The good news is that there is a great deal of work under way in this area. Big-name tyre manufacturers such as Bridgestone, Michelin, Goodyear and Continental are all designing concepts that involve the application of in-tyre sensors. The development of electrically conductive rubber compounds has been a key part to the strive for advancement in tyre technology. The Continentals ContiSense concept proposes electrical signals could be sent from a sensor embedded within the tyre to a receiver in the car. This data would be stored in a cloud based system that can be accessed from anywhere. 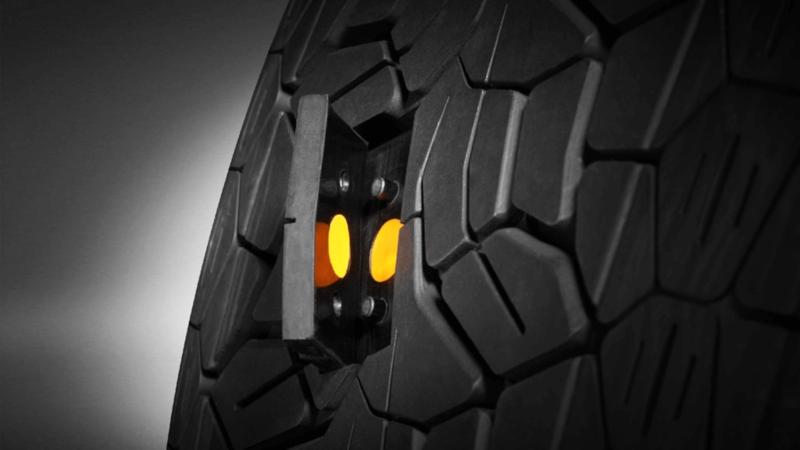 The sensors would be able to continuously monitor both tread depth and temperature: even a penetration in the tread. If the tyre sensors detect an anomaly in the circuit, the system would alert the driver at once before pressure begins to drop in the tyre. What Impact Could Connected Tyres Have On Fleet Management? We don’t need to tell you what constitutes a safe tyre but it’s important to remember the dangers of having unsafe tyres. This technology has the potential to save lives. In 2016, Highways England statistics claimed that eight fatalities and 120 serious injuries were tyre-related incidents. This technology has the power to alert a problem to the driver, fleet manager and leasing company simultaneously, removing sole responsibility from the driver to regularly monitor tyres. Less likely of a driver unknowingly driving on an unsafe tyre. It will be easier than ever to maximise a fleet vehicles uptime. By constantly knowing how much tread is on a tyre, a manager will be able to plan when a vehicle needs to be off the road for maintenance, without relying on gathering data from drivers. With connected monitoring, it would be difficult to excuse going below 1.6mm. This should reduce or eradicate the number of urgent tyre changes needed. Having the choice of which dealer you go to could save you money. Having multiple systems in place to keep tyres at their best should provide a better life for tyres. Keeping tyres at their best will help improve fuel economy and lower emissions. Running a fleet is no mean feat. We welcome any technology that aims to make it easier. 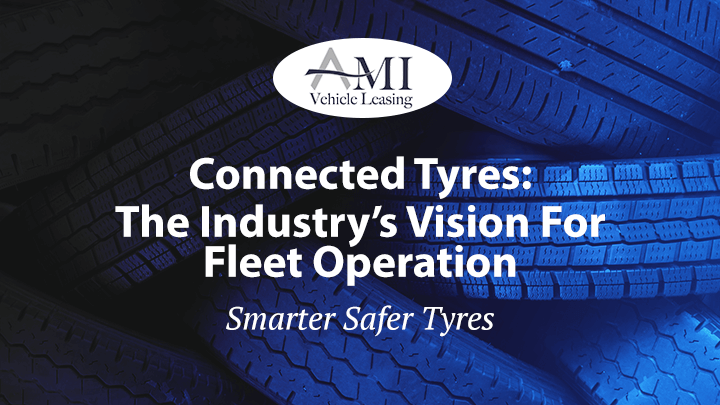 We may not be able to read the tread on your tyre from 100 miles away (not yet anyway), but AMI’s maintenance package and customer service is a great helping hand for fleet operators. To read about how we help to keep fleets on the road, see our customer stories.